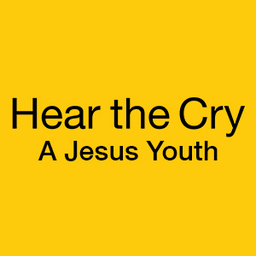 Hear the Cry has been involved in Uganda since 2009, and for the third time an all high school team will be traveling there to come alongside our partners on the ground. This trip is open to high school students who attend A Jesus Youth. Our trip will start in the south at Bethany Village, where we’ll visit a community sponsored by HTC for the past 8 years. From there, we’ll head north to the city of Gulu where we’ll spend the majority of our trip. Projects will include turning a recently purchased building into a community center, visiting HTC’s projects in the area, visiting Bob Goff’s ‘Restore International’, and jumping in to other service opportunities as they arise. Join us on this life-changing adventure as we represent what it looks like to be a teenage follower of Jesus serving our brothers and sisters in Africa. Trip cost includes airfare, food, lodging, insurance, ground transportation, supplies and excursions. Team members are responsible for any additional snacks and souvenirs during travel. Interviews for each team will begin on the Application Deadline date for each trip. Passports are required for all destinations, and must be valid for 6 months past the date of departure. Allow 4-6 weeks for any passport application and processing time. India and Myanmar applicants must have a valid passport in hand at the time of the application deadline. Upon acceptance to the team, a non-refundable deposit of $25 will be required as you set up your fundraising and online profile. 50% of the total cost is due two months prior to departure, and the remaining balance two weeks before departure.